A Berlin-based art collective known as Raubdruckerin – German for ‘pirate printers’ – has come up with a unique approach to creating textile patterns. 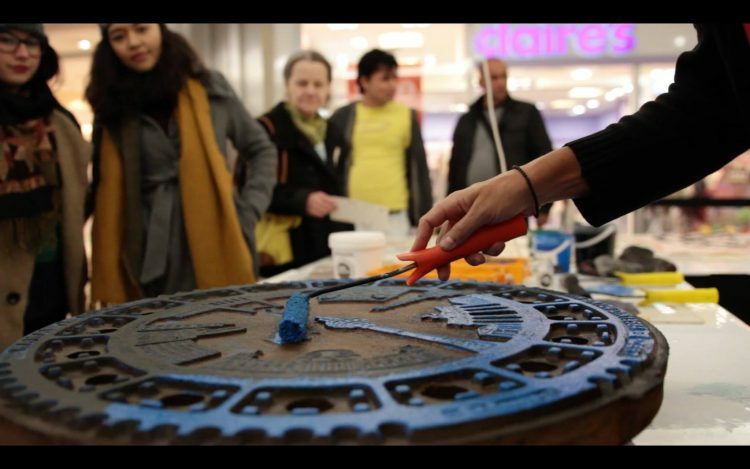 They have been traveling around European cities turning utility hole covers into printing presses to decorate totes, t-shirts, hoodies, gym bags, and more. Founder Emma France Raff began experimenting with the concept of ‘urban printing press’ in 2006 when she founded the project in partnership with her father, Johannes Kohlrusch. They started in Lisbon, but have since expanded to Paris, Amsterdam, and Berlin, the latter being their base of operations. The Raubdrucken team members find inspiration in the urban landscape and often overlooked surfaces of the city, such as utility hole covers and drains. Sustainability is a crucial component of the project, as they aim to offer an alternative perspective and approach to mass production. “The point is that the prints are not drawn by me. I just put them into a new context. 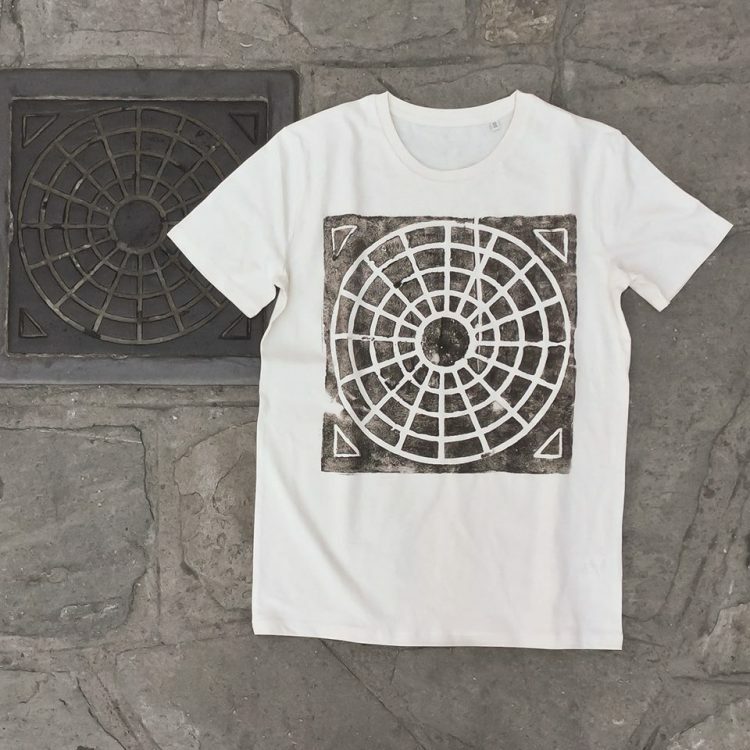 They are from surfaces of the streets, from cement surfaces and grids of manhole covers I transfer them to T-shirts and other things and they’re given a new life. 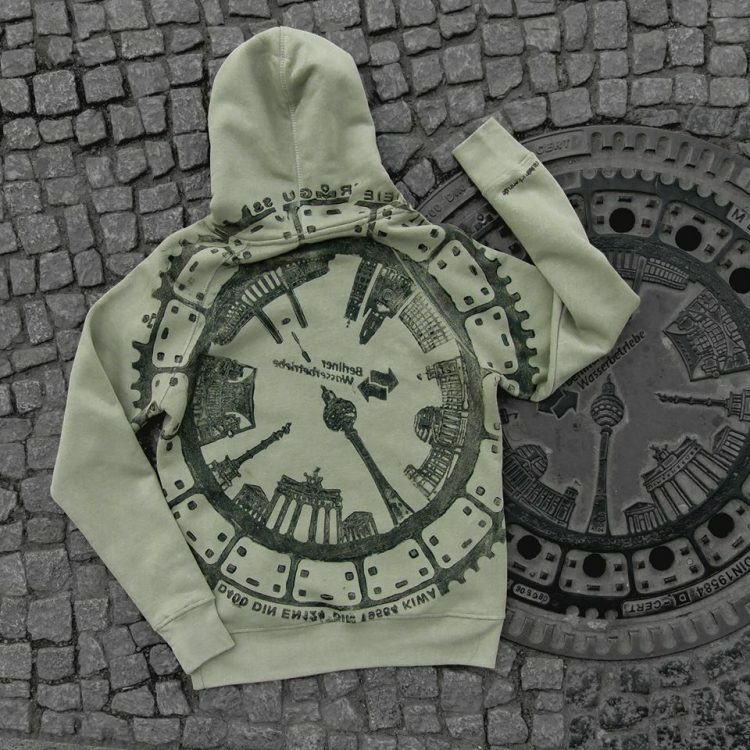 That’s why it’s called Raubdruck because the designs are lifted from manhole covers,“ Emma France Raff told Euro News. 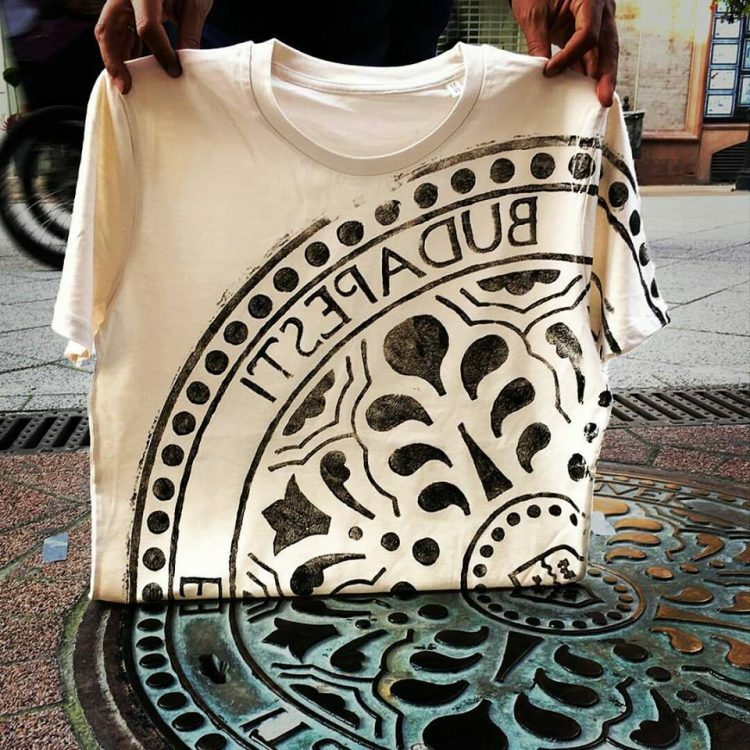 The artists make their prints on location, applying ink to the utility hole covers or whatever other surface catches their attention, and printing the designs on totes and t-shirts on the spot. Their supplies are minimalist, consisting solely of a cardboard frame, ink, brushes, and apparel. When they finish printing an item, they take a photograph of it beside the texture that provided the pattern. The entire operation is swift and discrete but still takes place in the public eye. The visibility humanises the project and focuses on the concept of exchange – exchange with the city, the street, and the inhabitants and community therein. 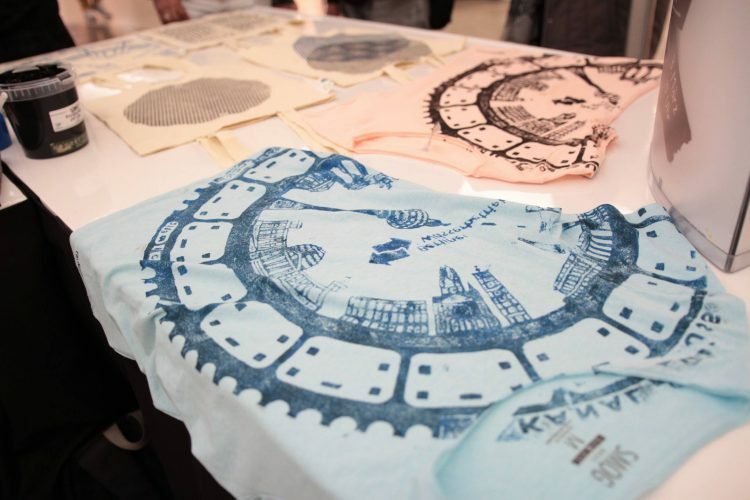 The collective also regularly runs “street-printing” workshops that anyone can attend. “Using the city or what the city is offering is more urban than graffiti, because I am walking on the streets every day, thousands of people do the same, and if she is using the railways to paint, it’s really part of the city,” Marcel Schlutt of fashion mag Katblut said. Items can be purchased on the Raubdruckerin website or in their small Berlin shop, but you’ll want to hurry as there are very few items available and the store closes for Christmas. You can also find the collective’s apparel on Instagram at @raubdruckerinberlin.